These new areas join the ranks of some of the country’s most highly protected landscapes and amount to the most significant addition to England’s National Parks since the confirmation of the South Downs in 2009. 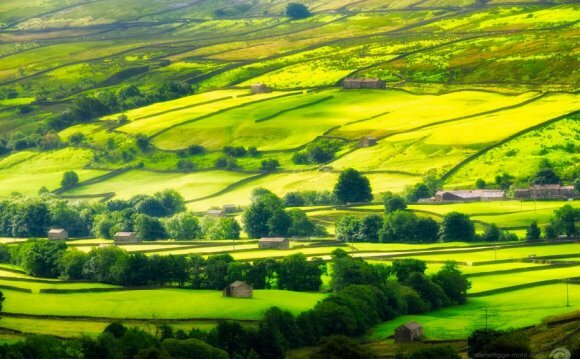 I very much welcome the Secretary of State’s decision to extend the Yorkshire Dales and Lake District National Parks in line with the recommendations made by Natural England. The Chancellor’s Northern Powerhouse depends upon the ‘natural capital’ provided by our iconic National Parks. They represent some of England’s most treasured natural assets. With international appeal, their stunning landscapes stand out as a beacon to the people who come to enjoy them whilst their intrinsic value drives the communities, businesses and biodiversity they support. Extending these today confirms their great importance and provides them with the recognition they richly deserve. Natural England has special responsibilities for creating National Parks and Areas of Outstanding Natural Beauty and reviewing their boundaries. The potential to extend the Lake District and Yorkshire Dales National Parks was considered for a number of years and Natural England began work in 2009 to look at whether the boundaries should be changed. Detailed assessments were made of the areas, which used the 3 criteria for National Park status: the natural beauty of the proposed extensions; the opportunities that they provide for open-air recreation, and the desirability of looking after them as National Parks. Impact assessments also helped identify the environmental, social, economic and recreational impacts that designation would be likely to bring. Two phases of face-to-face and online consultations were held, to ask for opinions from the public, local communities, statutory agencies, interested organisations and local authorities. Over two-thirds of respondents said they were in favour of extending the National Parks and there was widespread consensus that the proposals met the criteria. Natural England then issued a legal document known as a variation order which paved the way for today’s decision by the Secretary of State.